Peter Jackson, director of The Lord of the Rings Trilogy, returns to the franchise that both put him on the map and won him an Oscar. This time he finally turns his hand to J.R.R. Tolkien's prequel novel with The Hobbit; a film experience that fans have been waiting almost ten years for. The famous fantasy adventure, originally published in 1937, sees Bilbo Baggins (Martin Freeman) taken on, well, An Unexpected Journey by his dear wizard friend Gandalf the Grey (Ian McKellen) and a small (no pun intended) group of dwarfs. Along their journey through the mystical world of Middle-Earth the group will encounter many creatures, adversaries and challenges in their quest to reclaim the lost Dwarf Kingdom of Erebor from the fearsome dragon Smaug - not to mention an encounter with Gollum and a certain ring that will change Bilbo's destiny forever. 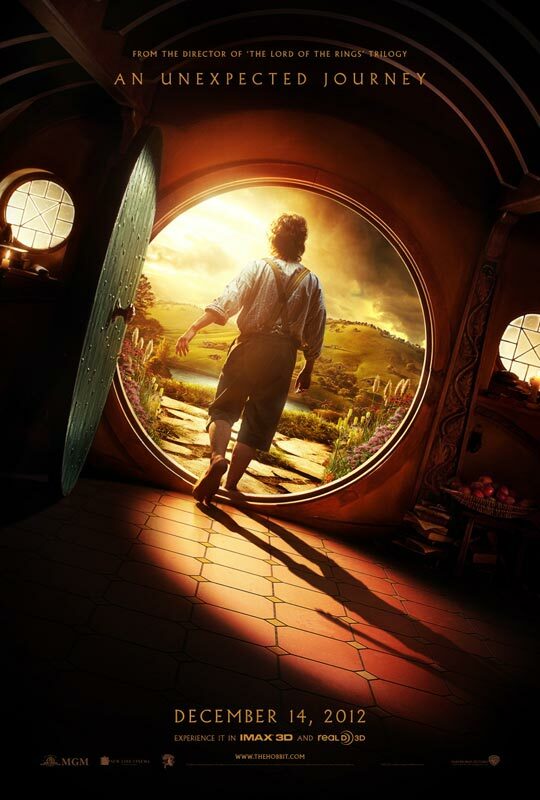 The Hobbit: An Unexpected Journey is set for release in cinemas across the UK on December 14th 2012. Are you looking forward to The Hobbit Trilogy, or are you starting to get Bored of the Rings!? Will it be a blockbuster or lacklustre? Leave your comments below!